Accurate and timely communications are essential to the legal profession, where the outcome of a case may depend on a single fact or holding. Reliable communications are even more important to those firms that have decided to go paperless to prevent clutter and help ease the burden on the environment. 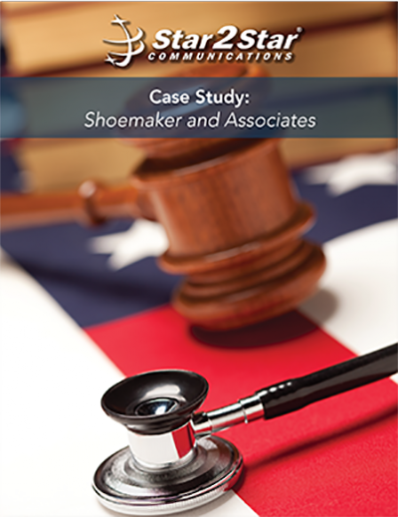 When Shoemaker & Associates realized that their existing VoIP system wasn’t up to the challenge, they turned to Star2Star. Read more to discover how Star2Star resolved the firm’s reliability issues and provided the necessary features and services the firm needed to stay paperless.